As I walk down the bright hallway, I’m immediately taken to a place of relaxation. 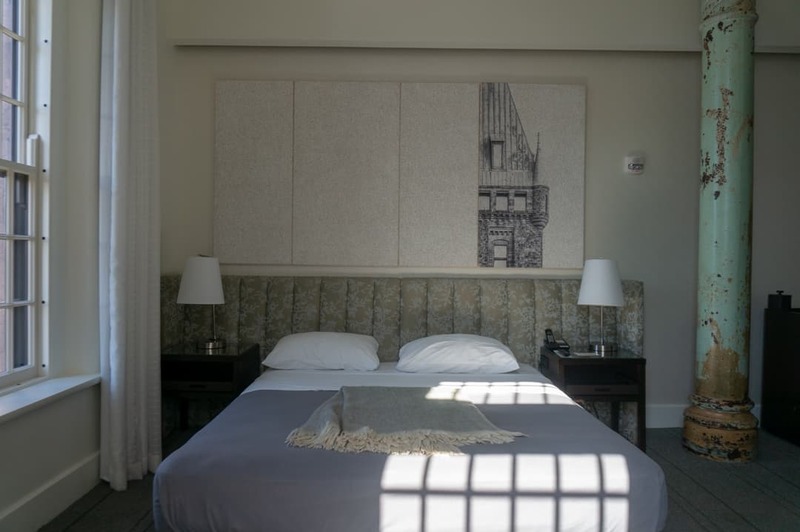 White walls displaying beautiful paintings and the reflection of sunlight on the floor has me feeling calm and relaxed as any boutique hotel should. I’ve all but forgotten the history behind this building as I admire the newness of it all. 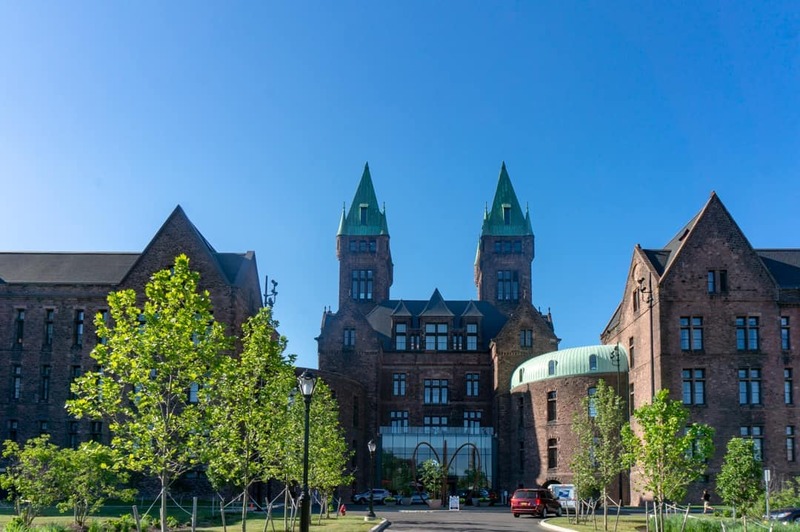 These wide hallways once were home to the patients of the Buffalo State Asylum, but now after a magical restoration and renovation, the historic landmark is the home of the Hotel Henry Buffalo NY. 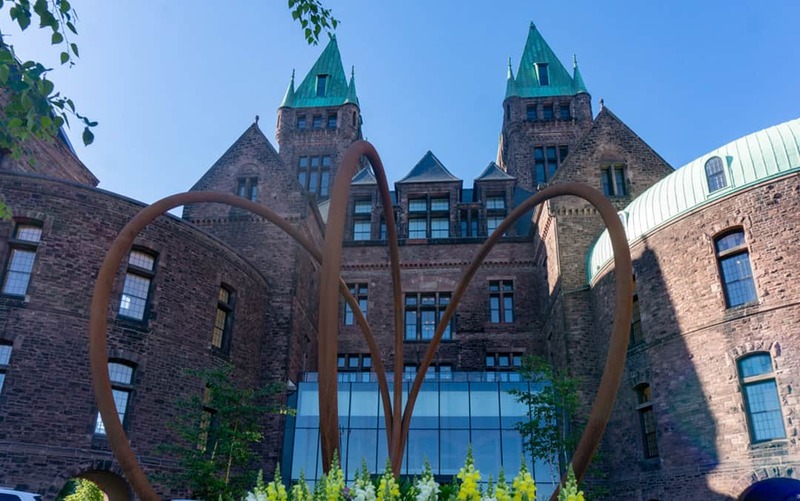 Taking on the historical building designed by Henry Hobson Richardson, that sat vacant for several years, the Hotel Henry Urban Resort & Conference Center has protected the 140-year-old Richardson Olmstead Campus and turned it into an inviting boutique hotel, gallery and event space. There are 84 rooms and four suites separated into two wings. 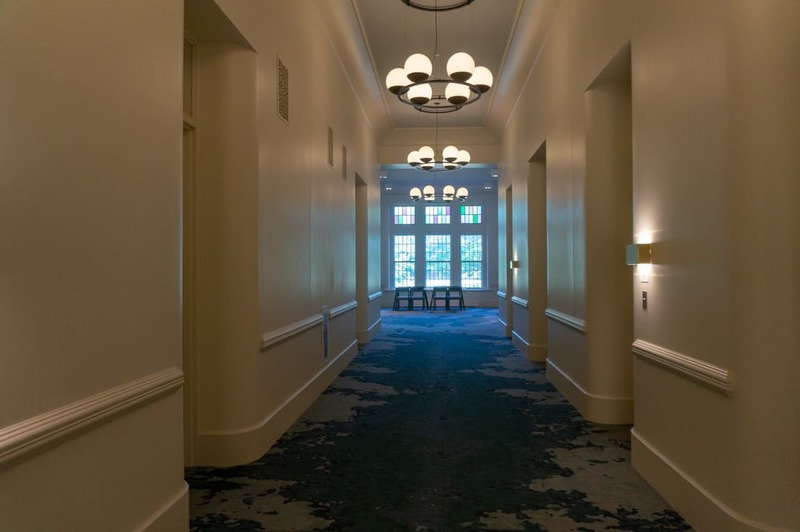 Upon arrival, I found the layout was a bit of a maze, but once I familiarized myself with the main corridors and stairwells, it all just made sense. Everything they did on the inside was meant to protect the outside of the building, so many of the wide open hallways have been maintained. 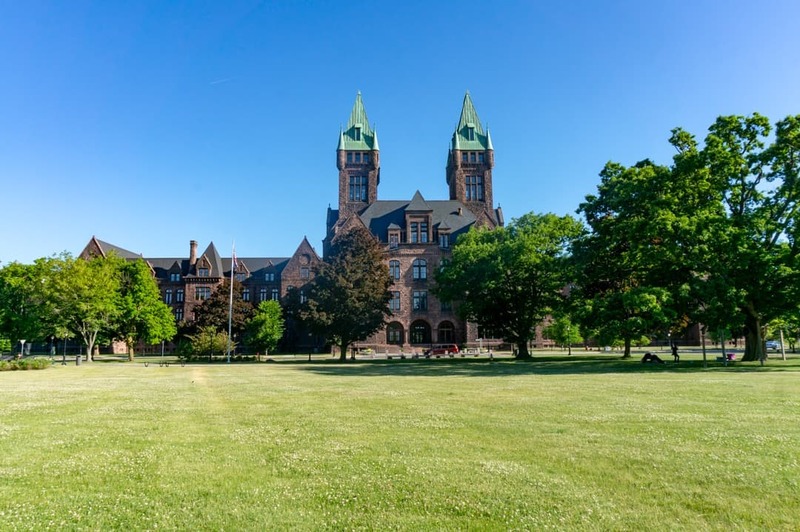 Hotel Henry sits on the Buffalo State College grounds just steps from Buffalo’s museums and art galleries and the popular Elmwood Village neighbourhood. 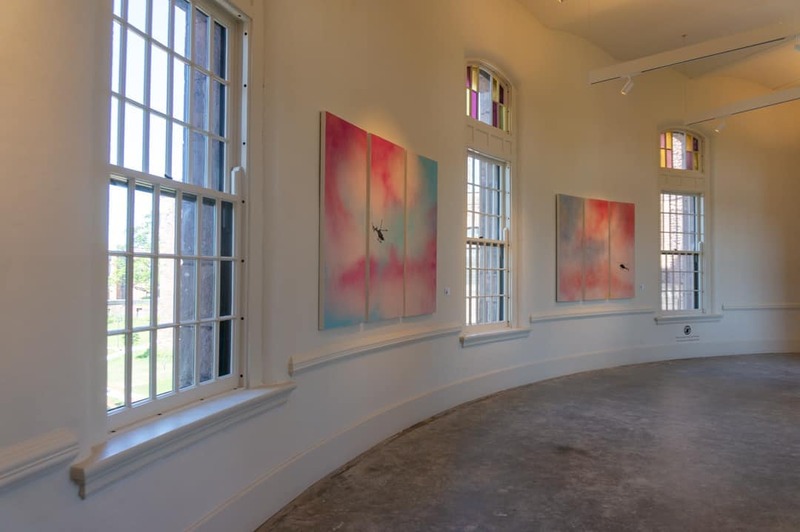 The Albert Knox Gallery and Burchfield Penney Art Center are both located just down the main road leading to the hotel. 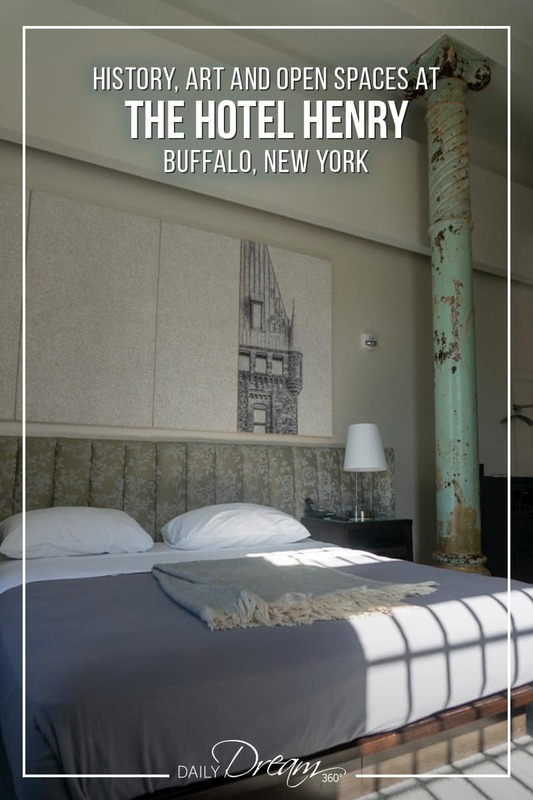 The rooms in the Hotel Henry are lit with natural light, very spacious with high ceilings and decorated with modern décor. 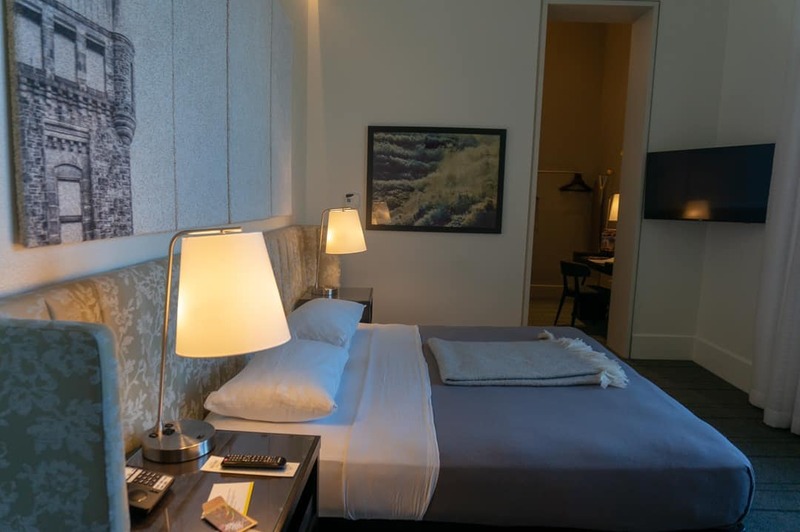 There is a moment when you walk in and exhale in relief as your room is like an escape and very comfortable to relax in. I was in one room before moved to a new one and both rooms were stunning, so I’m sharing both of them. 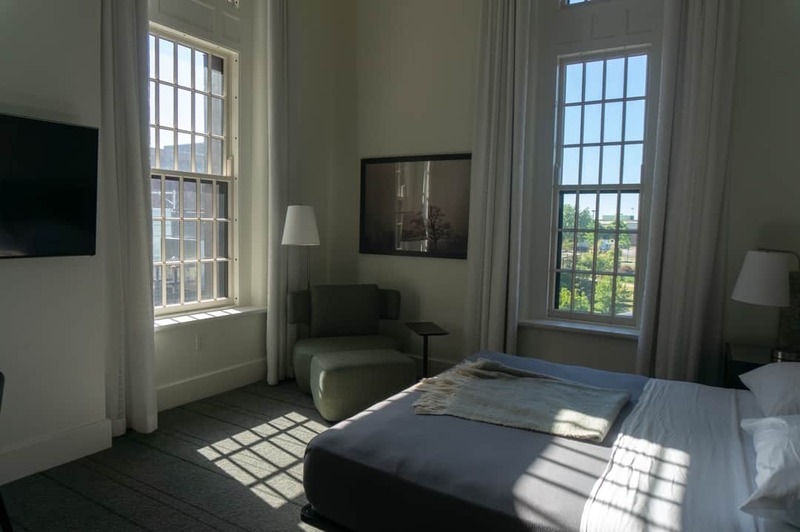 Located on the first floor this room featured a king bed, big bright windows, and a lounge chair. The desk in this room was in a separate space which also housed the hangers from the open closet concept. The room had a refrigerator and a coffee maker. 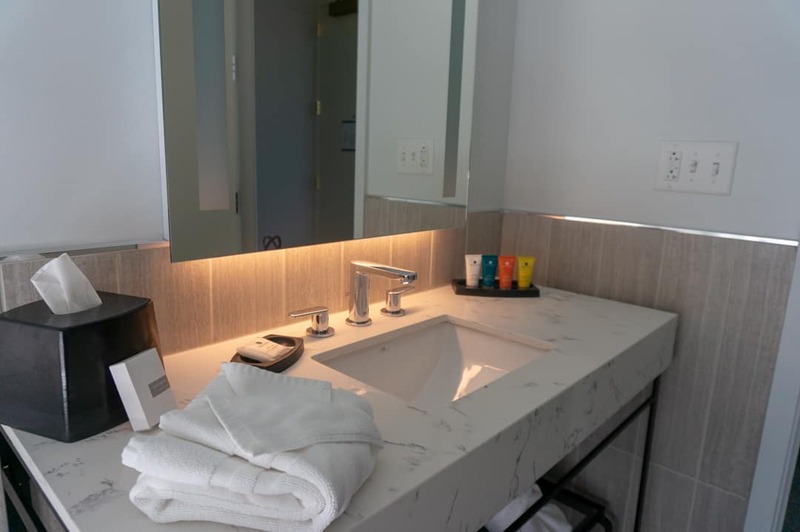 The bathroom was also modern; there was lots of countertop space and a large shower. The fan in the first room was running a bit loudly, so they moved me into this second room which I loved even more. 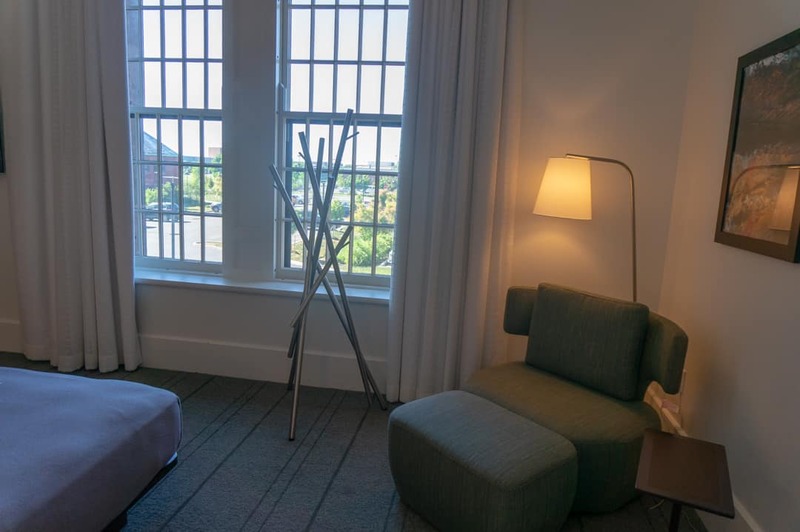 The corner suite had even more light and was more spacious in my opinion. 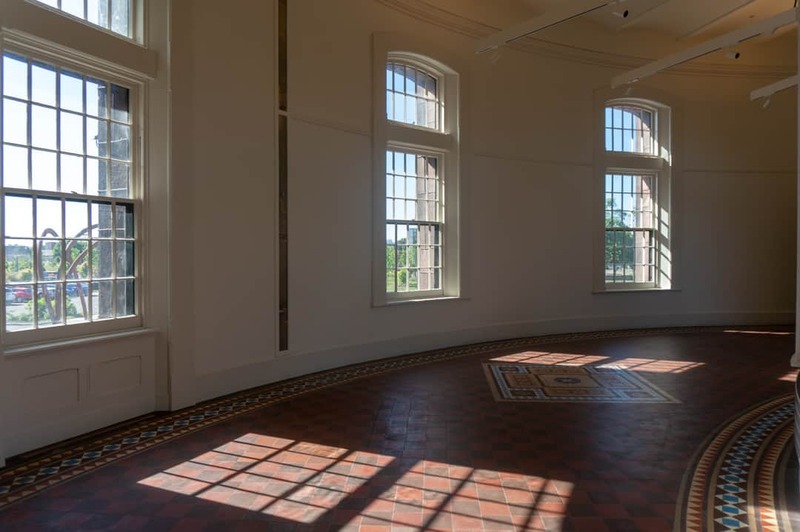 The historic column in the centre of the room was breathtaking. 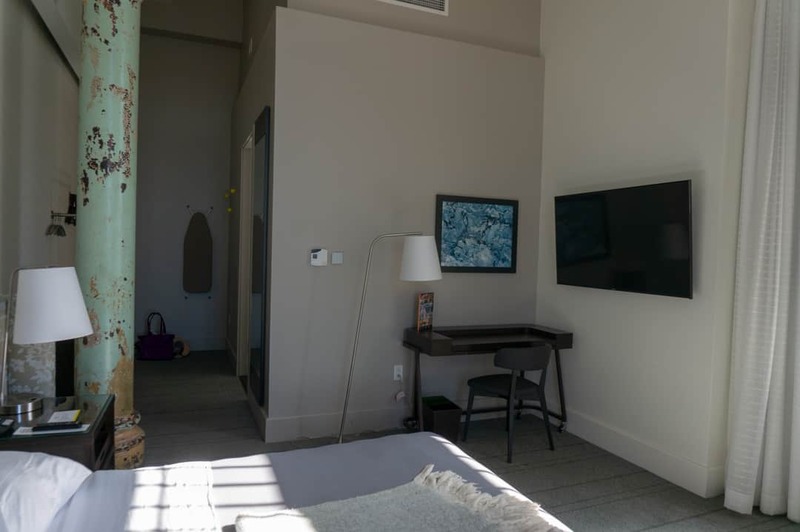 I loved the layout which had the lounge chair in the corner, and the desk was also ideally placed in the same space as the bed and television. 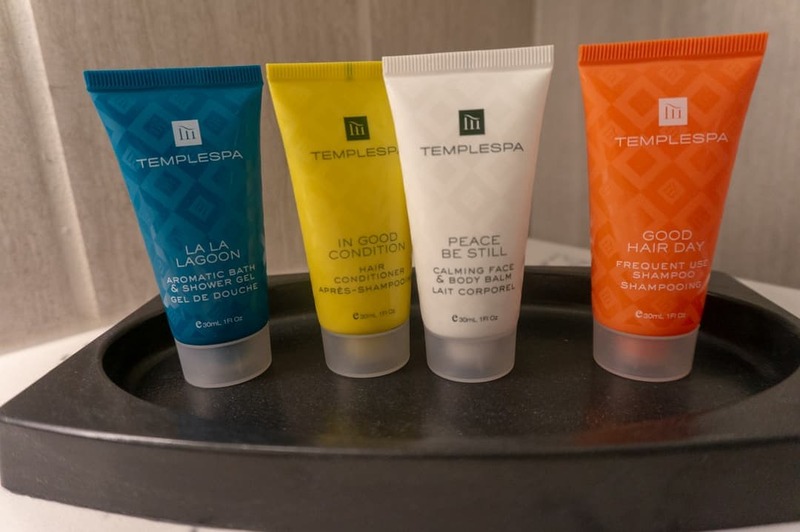 The washroom was also very modern like in the first and toiletries provided by the hotel are Templespa products. The hallway of this unit had the hangers for wardrobe and the refrigerator and coffee station. There was also an ottoman in the hall which opened to store some extra blankets. 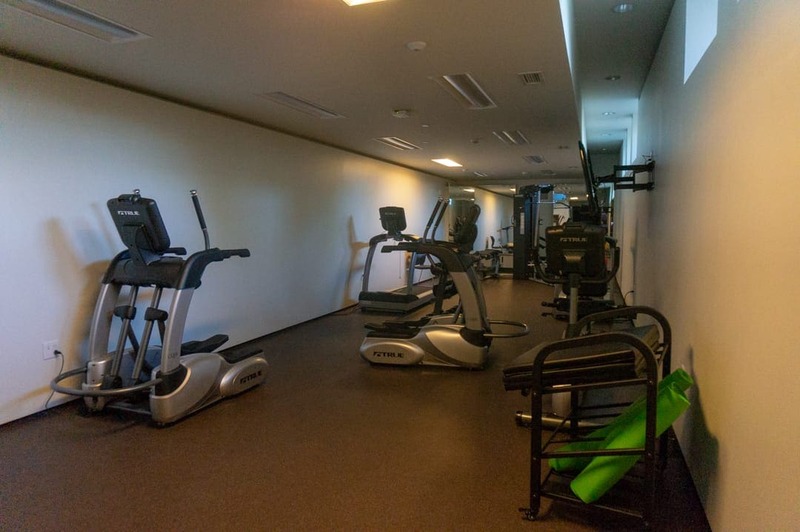 The hotel has a small fitness room with some cardio machines scattered throughout. I was sad to see it was tucked away in a dark room. 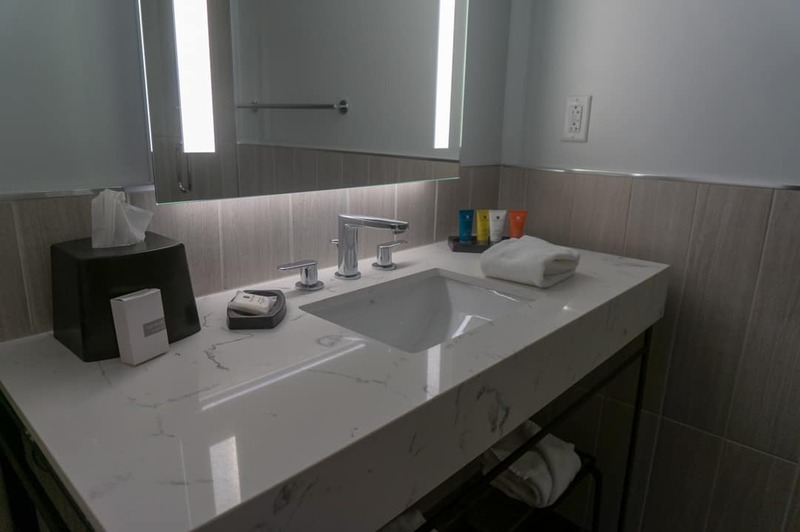 The rest of the hotel is so open and inviting. However, the hotel is located on huge grounds which include a large park in the front. Ask about Yoga classes which are held under the big tree on some mornings. 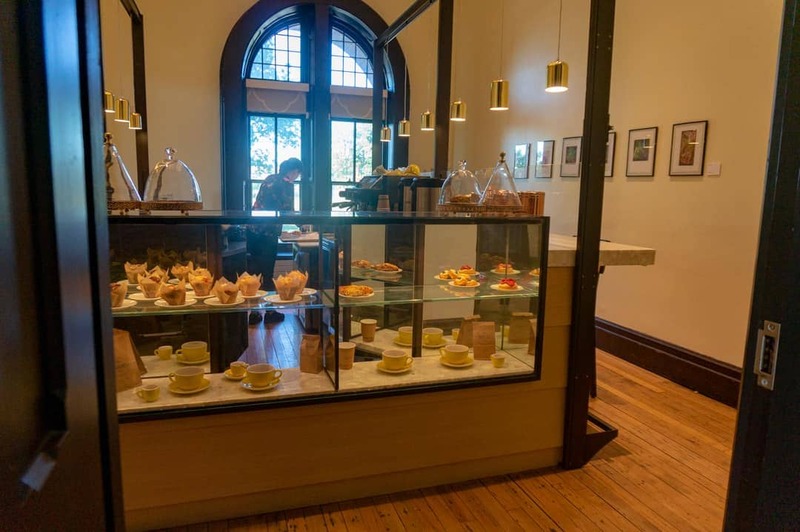 The 100 Acres restaurant acts as a café bakery in the mornings, a little bar in the afternoons and evenings and also a restaurant. For breakfast, I had a voucher to be used on coffee, pastries or one of the breakfast menu items. There were an egg and vegetable frittata, oatmeal and yogurt and fresh fruit in addition to some delicious pastries on display. 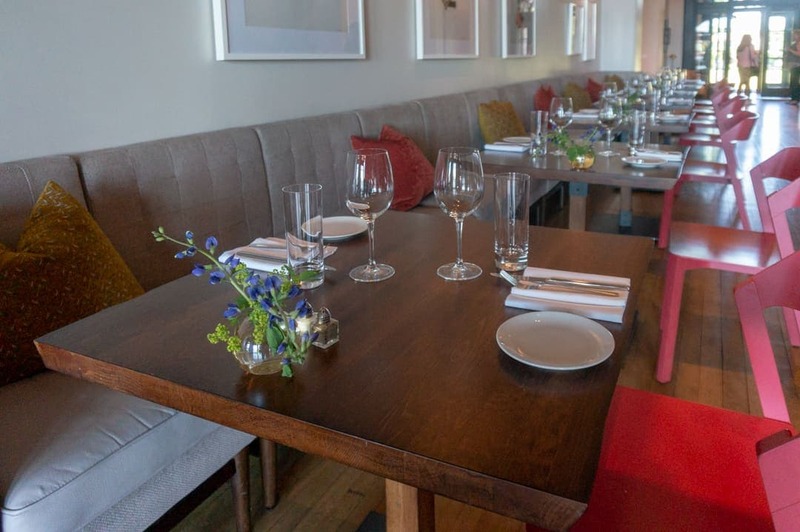 The focus of the Hotel Henry 100 Acres restaurant is casual fine dining with a menu featuring simple and fresh ingredients sourced locally where possible. 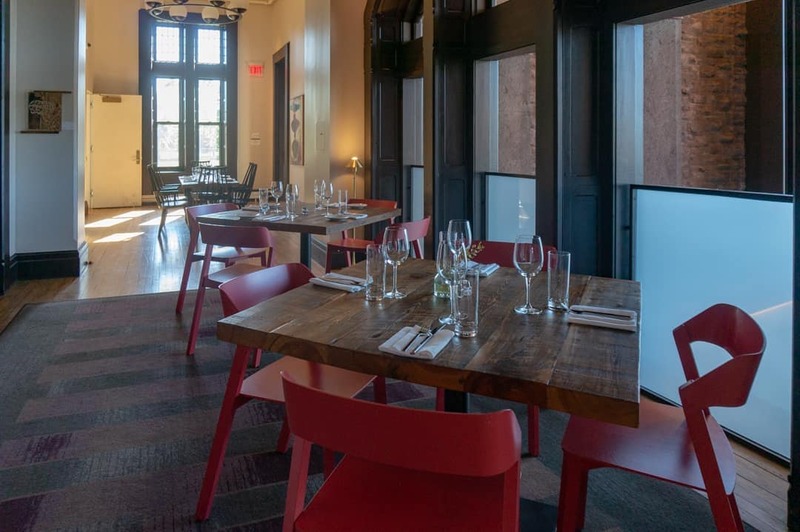 The restaurant space is modern, elegant but no frills. 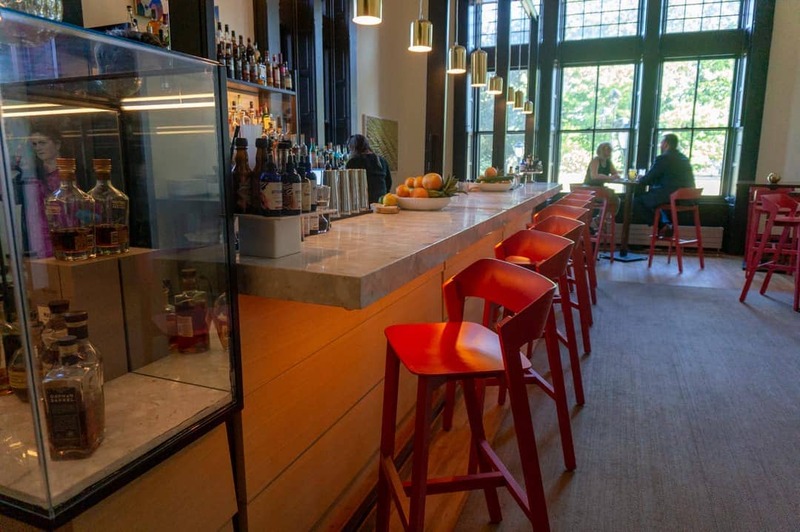 In the afternoon, the bar was a lovely gathering space for quiet conversations and cocktails. 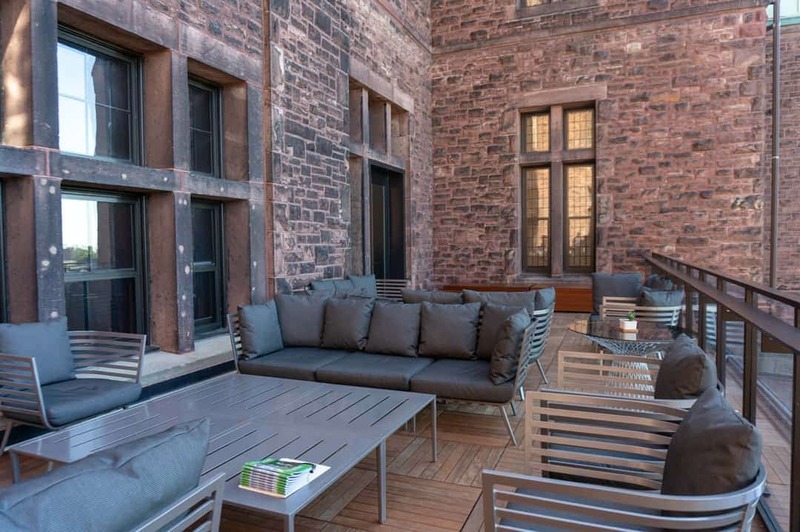 We had a little event on the Patio which was filled with cozy chairs for relaxing outside on a beautiful day. The open spaces of the hotel and conference centre are being used as galleries which show several exhibitions. 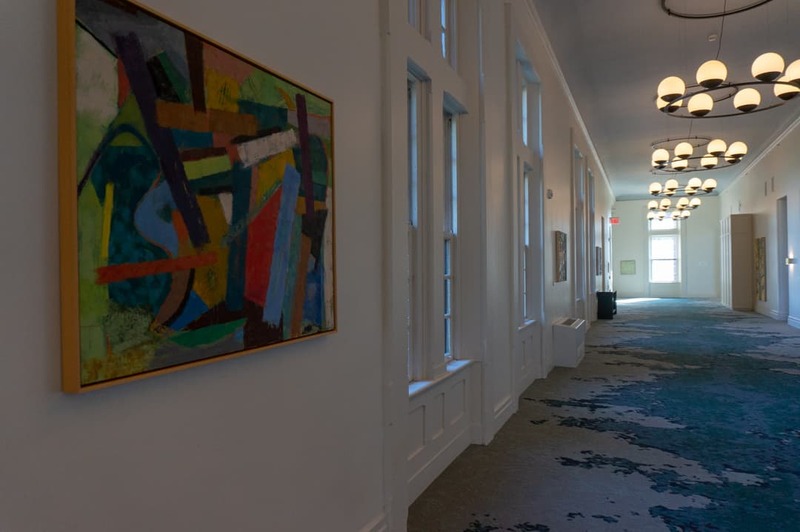 Painters are featured in the many spaces and day tours are available to see the art and learn about the hotel’s history. 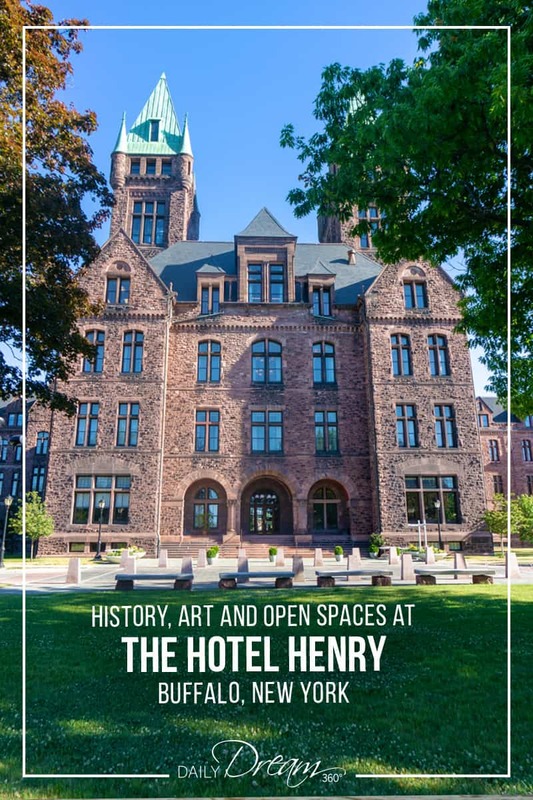 For more information and to book a tour visit the Hotel Henry Website. 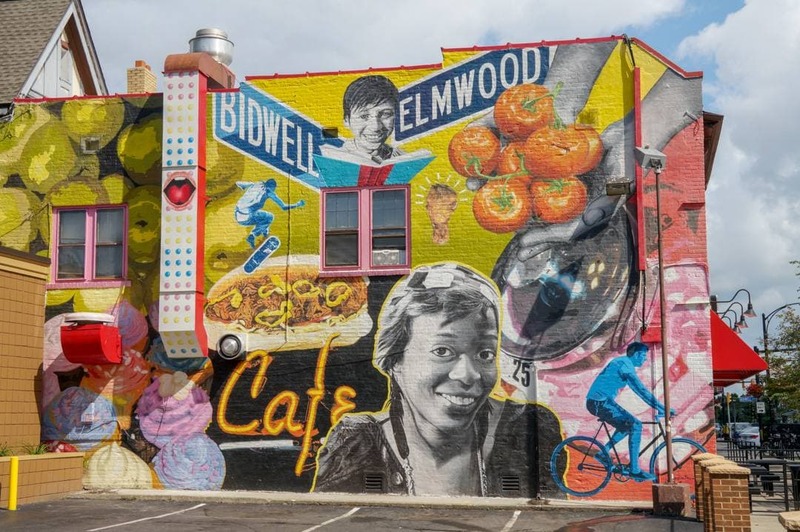 For those of you who want to add some shopping to your Buffalo getaway, be sure to check out these posts. 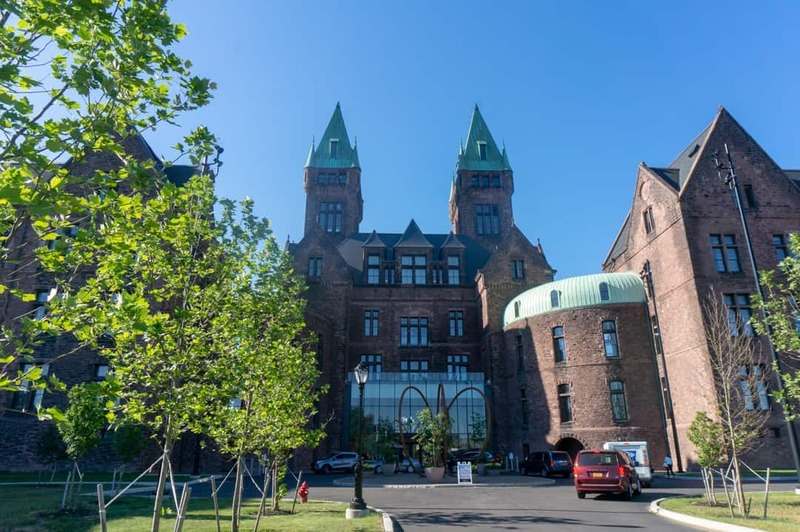 Travel assistance provided by Visit Buffalo Niagara on a press trip. The opinions expressed in this post are my own.